We will do everything the LORD has said. In a popular movie, Robin Williams repeated this line throughout the story: “My word is my bond”. If you saw that movie, you know that those words were only in his head but not in his life. Exodus, the second book in the Old Testament, means “exit” or the way out. God delivers the Israelites from 400 years of slavery in Egypt (yes it was 400 years!) and leads them to their promised land. Moses was God’s chosen leader for this journey. At least two million people followed him through desert and rough country. God was with them all the way as He protected them with several miracles. Remember the parting of the Red Sea. What a sight that must have been! When they came to the Desert of Sinai and camped out, Moses went to God. He received God’s promises, which he shared with the Israelites. Now if you obey me fully and keep my covenant, then out of all nations, you will be my treasured possession, a holy nation (Exodus 19:15). Notice the "If." Our focus scripture tells us that all the people responded. As we read through the book of Exodus, God delivers the Ten Commandments and what He expects of them. (Exodus 19:5-6) As Paul Harvey was famous for saying, “and now the rest of the story.” That’s for another time. Suffice it to say, that their human and sinful behavior emerged. Their good intentions were admirable, like ours often are, but faded away quickly. How many times have we committed to prayer, to giving, or fulfilling a needed task and somehow just didn’t stick with it? The Israelites had short memories. Quickly they forgot their miraculous journey out of Egypt and reverted back to many of their pagan ways. Sad to read, but Moses, the chosen leader, didn’t get to make the promised entry into the Promised Land. Our awesome God, thank You for Your guidance. Forgive us when we fail to honor our commitments. 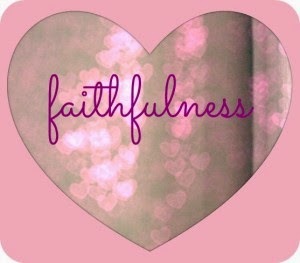 We praise You for Your faithfulness.